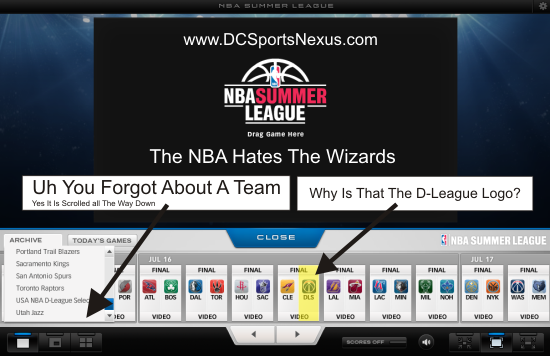 So either Andray Blatche is programming the software at NBA headquarters, or the league just really hates the Washington Wizards. I'm not even going to get into what a terrible system this is. There is no pausing and no fast forwarding. That means if your internet goes out, you have to watch 3 quarters over again.